Go Ape! The UK’s No.1 Tree Top Adventure from The Forestry Commission! Take to the trees, enjoy zip slides, rope bridges, Tarzan swings and crossings - all up to 120 feet above the forest floor for a spectacular, adrenalin pumping, comfort-zone-blasting, dose of exhilarating fun! Come and enjoy the views from the forest canopy! Go Ape is three hours of tree top fun, an outdoor adventure in a lush, green forest with breathtaking scenery, using high wires, tricky crossings on walkways, bridges, ladders, tunnels, cables and wind-in-your-face zip wires! Whatever your confidence and ability level, grab your tribe and head to Go Ape! It's for anyone who likes adventure -so whether it's a stag do, birthday party, corporate event or a great day out with the children, everyone can enjoy this amazing adventure! Daily, April to October (plus February and November weekends). Check website for details (or call the booking line on 0845 643 9215). Guided walks available from Lodestar Mountain Activities! Lodestar Mountain Activities offers guided day walks in England and Wales, with levels to suit the beginner and experienced walker alike. We walk the classic and not so well known routes, and we research all our walks carefully to make sure that there is always plenty of interesting things to see along the way, in addition to fantastic views of course (weather permitting)! Andy is a qualified Mountain Leader with First Aid qualifications. Katrina has been walking and leading groups for many years, initially with The Guide Association and is also First Aid qualified. 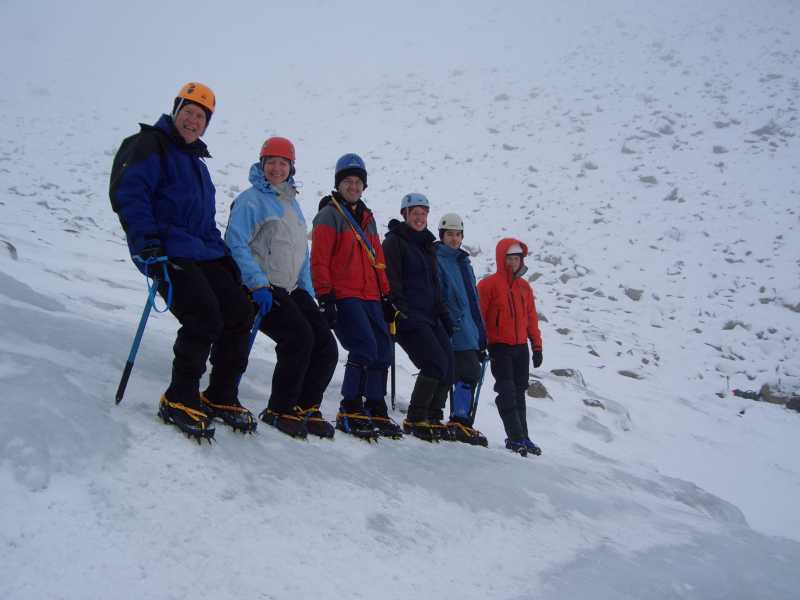 If you fancy trying something different on your holiday, Kendal Mountaineering Services provide bespoke activities and outdoor training courses in the English Lake District. Caving days – introductory (level 1trip), Caving days – advanced (level 2 trip), Lake District Classic Rock Multi-pitch climbing days (guided), Guided Lake District Classic Scrambles, Guided mountain walking days, Winter skills days, Hen days, Stag days, Corporate Events. Outdoor skills training courses (prices start at £75 per person, per day - depending on course. To make a booking or find out more, please contact info@kendalmountaineeringservices.co.uk or phone 01539 737332 or mobile 07761 483364. Additional information can be found at www.kendalmountaineeringservices.co.uk where you can also see what they’ve been up to on their Blog! New and Different Things To Do! All inclusive guided mountain biking and walking short breaks and weekends away throughout the UK. After 10 years of successful group guiding in the UK, Andrew and Rick launched gr8trails. They offer all inclusive guided mountain biking and walking short breaks and weekends away, in various parts of the UK. Their slogan is "bringing adventure to everyone", no matter what their age, experience or ability. They offer a full experience to prospective customers; food and accommodation, transport, fully organized and guided activities, all tailor made to their own requirements, in the Peak District, the Lake District, North Wales and Glen Coe or the Scottish Borders. gr8trails offers all inclusive guided mountain biking and walking short breaks and weekends away throughout the UK. Our short break and weekend destinations include the stunning Lake District with dramatic mountains, endless lakes and wooded forests. We choose from a wide selection of quality accommodation to suit your needs. gr8trails founders, Rick and Adrian are passionate about the outdoors, with over 10 years of successful group guiding in the UK. Whatever your inspiration, your ability or experience, contact us to tailor make your perfect break. Our regular choir Lakeland Voices practices every week in Kendal and then goes into the Lake District to singing by waterfalls, on the fellside, in vast Lakeland cavern and round the fires of country pubs. Visitors are invited to join us on our walks - and also to learn our songs at special events in the Lake District. We rent stunning accommodation for our groups (like the Black Sail Youth Hostel and Elterwater Youth Hostel - or the luxury cottages in the village of Dent for our Folk Carols festival) - and also provide very low cost alternatives with camps and a vehicle to carry our bags - my wife Lucia, who is a cordon bleu chef, prepares all the food for our groups catering for both vegetarians and meat eaters - and also several special diets like dairy and gluten intolerance too. There are photos of the Lake District and our singing groups on my Facebook photos page. And although we cater both for those who are on a budget and those who prefer more luxury we can arrange special tailor made tours of the Lake District for visiting choirs - like we did for Candy Verney's* choir from the south of England Sounding it Out last year when we arranged for them to meet our local singers, to sing on the Lady of the Lake Ullswater steamer, and in concerts alongside our local choirs. All the details are on our www.lakelandvoice.co.uk website. You might also like to see videos of singers and visiting choirs at https://www.youtube.com/Davidburbidge. *Candy Verney helps people find their voice on singing holidays. Over the course a few days or a week or two, she offers a chance to enjoy a singing holiday in England, a singing holiday in Scotland, or a singing holiday in Wales.